We love what we do. Every Malibu custom gate our team produces is made with love, and we take pride in passing homes and seeing our work playing a role in keeping community members safe from unwanted company. Give us a call today, let us know what type of driveway gate or fence system you are looking for, and let us work our magic to produce something you will love. 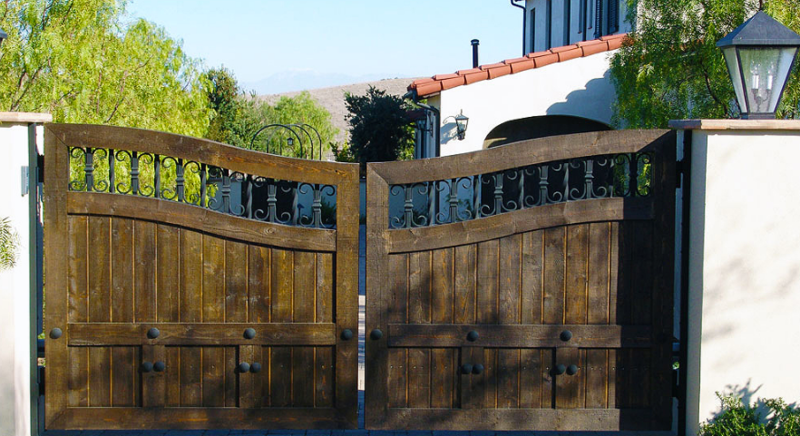 We provide hand-made gates of various styles, functions, and from multiple materials. Swing gates and sliding gates are the most requested, though we have made arm gates for some businesses and even for a few residences in which homeowners had separate buildings on site where traffic control was more important than full security. Whether you have a Victorian home and desire a wrought iron gate to enhance your property’s looks, or you have a modern home and desire clean lines and luxurious simplicity, call Everest and let us create a look and feel you will love, that offers the ultimate protection in securing your home. Our custom Malibu gates even have the option of engraving and ornamentation work to truly make your property pop out as the best home on your street. Whether you have your own design in mind, or you want us to come up with a few concepts, Everest can create a custom gate for your Malibu home built to last with opulence and a higher aesthetic. Many of our Malibu custom gates clients love the look and feel of wood, so Everest takes great care in sourcing only the finest species of wood to create stunning driveway gates. It all starts with the customer choosing the type of wood they want, along with certain specifications such as the gate size, functionality, and any detailed work like carving or engraving. Then our woodworkers choose wood that is healthy, and has a beautiful grain and flawless color. We treat the wood to withstand exposure to the sun, rain, and strong winds, and we also use a treatment to protect the wood from mold and insects. Our Malibu custom gates team gets excited every time we start a new project, and we take great pride in seeing our passion go towards protecting local homes. Give Everest a call today, and let’s plan out your amazing new custom driveway gate!